Resident Evil 2 gets a demo with a twist, Dead or Alive 6 and Tropico 6 delayed, Olli Olli 1 & 2 coming to the Switch, Dragon’s Dogma also eyeing a release on the Switch in April, and new releases for the week. Even with a re-release of Onimusha: Warlords coming next week, Capcom is also releasing a remake of a little game called Resident Evil 2 later this month on the 25th. The anticipated remake of what some consider one of the best in the series has been on people’s radar for some time with hype exploding at E3 when the remake made its long awaited debut. In what is starting to become a trend again, Resident Evil 2 is getting a demo on Friday, January 11th for the PS4, Xbox One, and PC. Players step into the shoes of Leon S. Kennedy as he goes through the worst first day on a job in history. However, there is a slight catch with this demo. There is a restricted 30-minute time limit for your experience in Resident Evil 2. There is an objective that can be completed in the demo and should you have time left, you can try it over again if you’d like. Same goes if you succumb to the zombies. Once the 30 minutes are up, its game over, literally. A trailer exclusive to the demo, which will likely be ripped and put on YouTube, will greet players at the end of your 30 minutes. At face value this really seems like a bummer to limit the time. It is one thing if you got five minutes in-game to do things and once its up, back to the title screen. But to not give players the chance to go back through the demo is a little surprising. To be fair though, most demos are short enough that 30 minutes might be more than enough time. 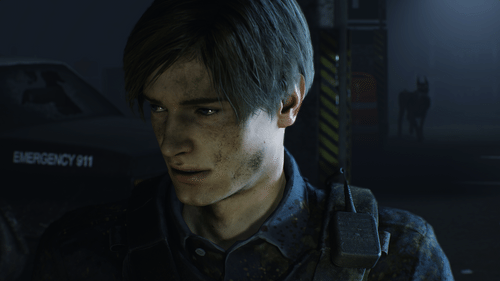 Resident Evil 2 launches on January 25th for the PS4, Xbox One, and PC. We may only be a little over a week into the new year but a couple of games have already been hit with delays. Tropico 6 is getting a bit more work done to it based off of feedback from beta users and will now launch on March 29th. A couple of months is not the biggest delay but no doubt disappointing for fans. To make up for the delay, those who pre-order Tropico 6 before January 10th will receive the game’s first DLC, planned for Q2 of this year, for free. Dead or Alive 6 is also following suite, although this delay is not nearly as long as Tropico 6’s set back. Originally set to launch on February 15th, Dead or Alive 6 will now launch on March 1st as Team NINJA will enhance and further balance the game with the extra time. It also gets this game out after the jam packed February. Hit indie title Olli Olli and its sequel are coming to the Nintendo Switch next month on February 14th. Both games are included in one package which will be called Olli Olli: Switch Stance. See, that’s how you use Nintendo’s system in a game name. Dragon’s Dogma is another example of one of those games that could have been overshadowed by what it included, at the original release, a demo of Resident Evil 6. But it turned out that the game itself was not too shabby and went on to become an unexpected success for Capcom.